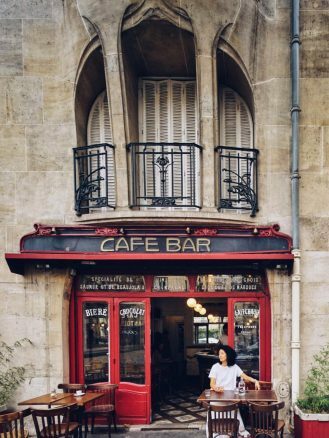 As if sewn together with the scent of pastries and perfume, each of Paris’ arrondissements are dotted with delicious gems. With all the boutiques and baguettes, not to mention 400 or so French cheeses from which to choose, one can imagine why Paris is both extremely enticing and a tad intimidating. 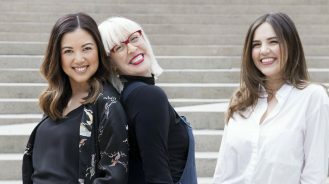 Part-time Parisian, Paris-trained pastry chef (she founded Beaucoup Bakery in Vancouver), creator of The Paris Tours and author, Jackie Kai Ellis, shares her keys to the city, both on and off the beaten path, which inspired her bestselling book, The Measure of My Powers: A Memoir of Food, Misery and Paris. 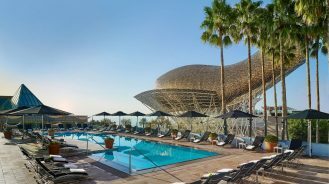 In addition to the thoughtful design, layers of warm textures in the rooms and stunning pool and spa, what really shines is how creatively lighting is used to enhance the sensuality and mood in different spaces. 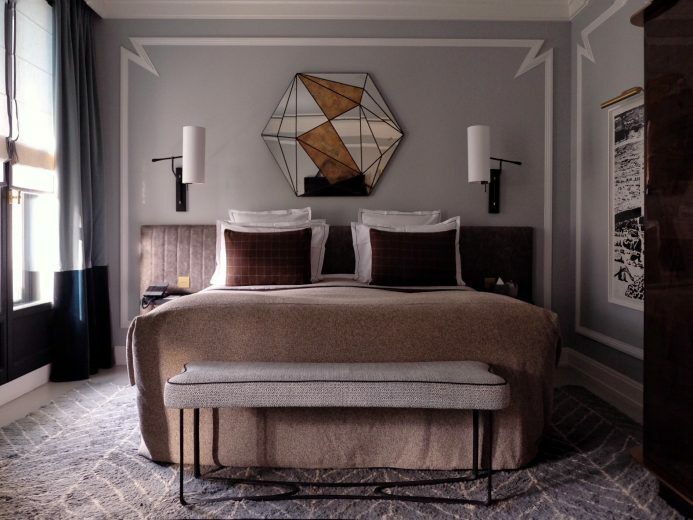 Lighting plays such a crucial role and it’s often forgotten, but Nolinski Paris manages to expertly weave subtle threads of it throughout the hotel. One can be certain that no detail was spared in the entire experience. 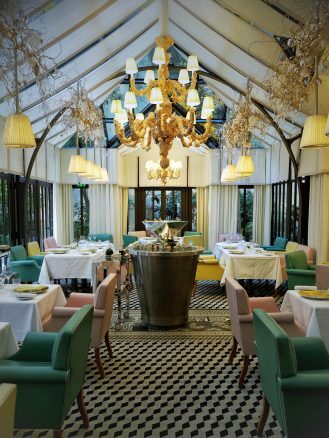 Artful, and so it should be, as Le Royal Monceau – Raffles Paris is the work of renowned designer Philippe Starck. Sprinkled throughout the hotel are original works as if each room were a living gallery. The hotel’s gift shop presents more as a bookstore with a beautifully curated collection of art books. I must admit my bias though—their Clarins Spa is my go-to for excellent massages, body treatments and facials while I’m in the city. 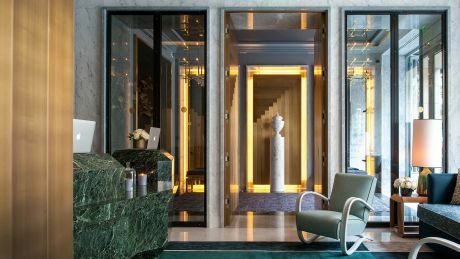 After four years of extensive renovations, Hôtel de Crillon, a Rosewood Hotel, reopened its doors with an elegant design that respects the hotel’s history (they hosted Marie Antoinette), balanced with contemporary style and intimate spaces. 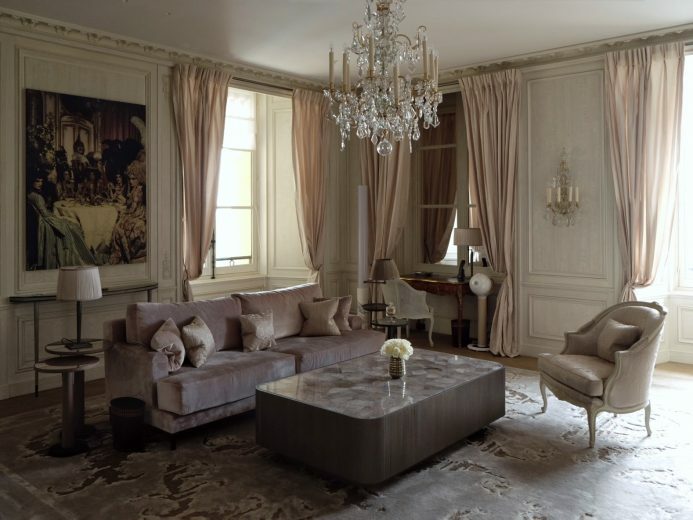 The most impressive space being Les Grand Appartements, a three-bedroom suite overlooking Place de la Concorde personally designed, with bespoke details, by Karl Lagerfeld. The bathroom alone holds a custom carved marble tub in the center of a room encased with six tons of marble and glass, all crafted to extravagant perfection. 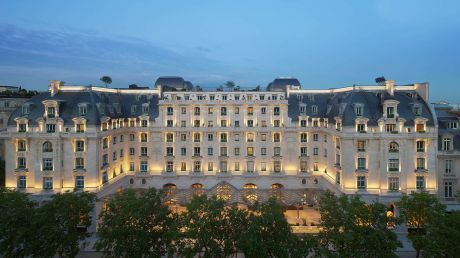 If you are looking for an equally luxurious experience on a smaller scale, you can visit Hôtel de Crillon’s spa, Sense. With a long history as a celebrity haunt serving into the wee hours, Le Poule au Pot was recently taken over by chef Jean-Francois Piège where he adroitly showcases his love for very traditional French fare. Here, you’ll find classics such as frog legs, escargot and clafoutis, each with an amount of butter that would have made Julia Child quite proud. Chefs Moko Hirayama and Omar Koreitem create fresh and deceptively simple food inspired by French and Middle-Eastern cuisines at Mokonuts (5 Rue Saint-Bernard). The lunch menu changes frequently with the seasons and they have an elegant, down-to-earth wine list to pair. If you don’t manage to snag a lunch reservation, go in for cookies and coffee. Their miso sesame cookies are one of the best cookies in town. Assuming you’ve already tried the inimitable pastries of Pierre Hermé and are craving something inspiring of a different genre, head over to Maison Aleph in Le Marais. 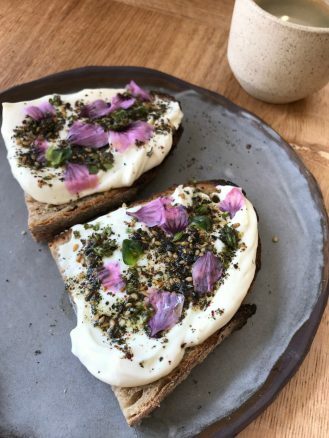 Here, pretty bite-sized pastries marry Syrian flavors and ingredients with French ones creating revelatory combinations such as sumac and dark chocolate, pistachio mastic and fromage blanc, and rose atop crunchy kadaïf. 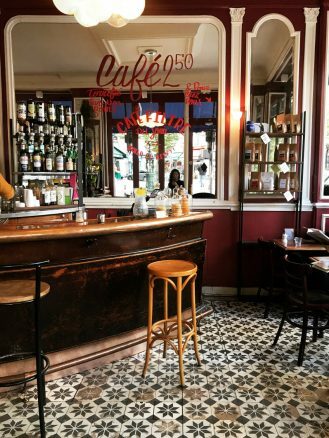 Tucked into the “sleepy” sixteenth arrondisement, Cravan (17 Rue Jean de la Fontaine) is one of the prettiest cafés/cocktail bars, with original art nouveau architecture by Hector Guimard. 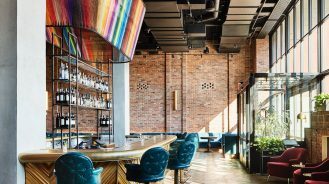 Because of its historical designation, not much could be changed in its renovations, so the wooden bar, painted glass ceiling, murals and floors are all unchanged from the late 19th century. 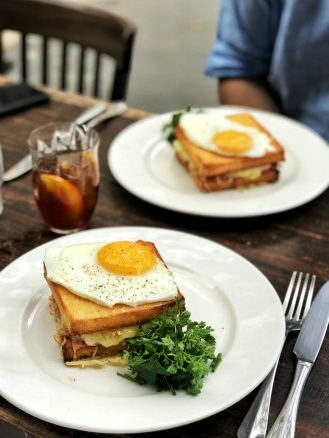 If the architecture doesn’t convince you, I’ll add that they have a beautifully executed cocktail program with mature twists on classics, perfectly made coffee and, no lie, the absolute best croque madame I’ve ever had in my entire life. As one of the world’s most talented chocolatiers, Patrick Roger is known most for his artistry and obsessive commitment to quality. As one example, in order to ensure the highest quality, most aromatic almonds in his chocolates, he decided to buy his own almond grove in Roussillon, where he believes almonds grow best. Now, imagine the lengths he goes to for the chocolate. My personal favorites are the lemon basil, saffron marzipan, rocher au lait and jasmine tea. 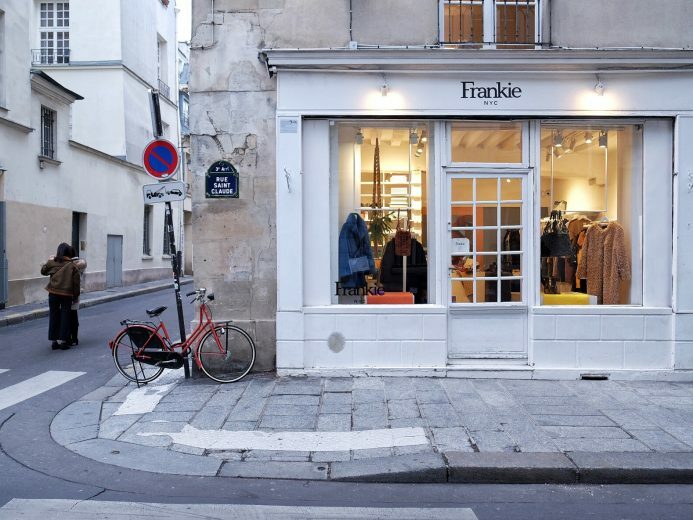 Frankie sources clothing for women who want classics with a quirky, fashion-forward twist. They have a roster of fresh designers that focus on well-made pieces for surprisingly reasonable prices and every age group. It’s not uncommon for patrons to be seen mixing their Balenciaga with an oversized sweater from Frankie, or a cheeky faux-fur bucket bag with their cashmere coats. When you walk into this ceramic wonderland situated on one of Paris’ most luxurious shopping streets, it is exactly as it would be if Lewis Carroll’s Alice were a chic designer with whimsical and impeccable taste. Astier de Villate’s pieces, as well as the space itself, hold an impossible balance of rustic, irreverent, elegant and earthy. On its shelves are finely scalloped teacups of black clay, and hidden atop a stack of thin plates, a ceramic steak or a mug topped with Snoopy. 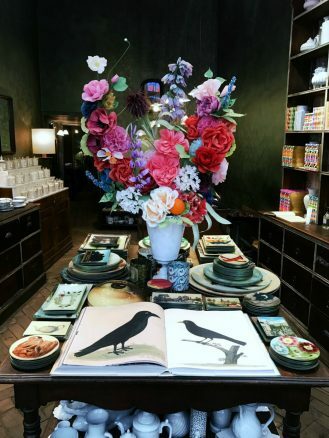 It’s one of the most magical boutiques in Paris. Galignani’s is a French and English bookstore with a gorgeous selection of paper eye-candy that one could get lost in for hours. I’m sure many have gotten lost between their covers since its birth in 1801. It’s also rumored that Karl Lagerfeld’s is a regular patron, and I presume it’s to discover treasures for his own extensive library. 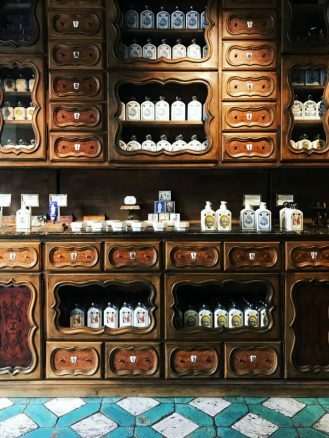 With over two centuries of history in beauty and perfumes, Buly offers some of the most euphoric, pure scents I’ve found (I wear Rose de Damas) in a charming boutique with equally euphoric woodwork. They have a calligrapher on site to personalize each item with your name. I’m partial to giving their scented matches or personalized tortoise shell combs as small souvenirs of Paris to loved ones. If you are looking for a toothbrush with natural bristles, they also offer a range of them. 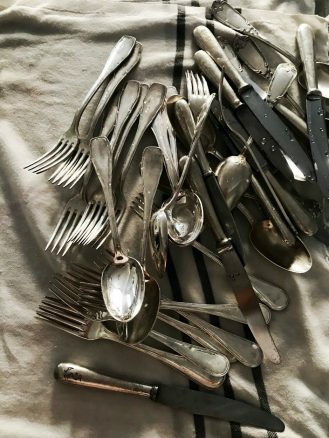 If you’re a fanatic of vintage or antique silverware, crystal, linens, botanical prints and copper pots, you could spend hours, no, days exploring the brocantes, attic sales and flea markets that pop up in each arrondisement. 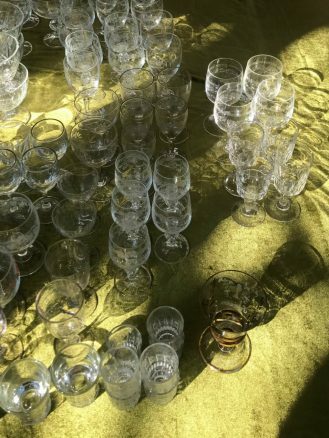 There is a large marché aux puces on the outskirts of Paris, Marché aux Puces de Clingancourt, that feels like being lost in a maze of bygone epochs. There, you can find stores devoted to vintage Chanel and Hermes but at costs that reflect its true value. Otherwise, refer to French website vide-grenier.org for all the smaller markets within the city. This is a treasure trove for those who live for kitchen tools, from stockpots big enough to take a catnap in to financier molds the size of a small thumb. E. Dehillerin is also a historical foodie monument as it’s the very store from which Julia Child and Ina Garten outfitted their kitchens. Mora is just around the corner offering tools geared specifically for chocolate, bread and pastry work. A modest and intimate museum of the Romanian sculptor Constantin Brancusi’s work, the Atelier is tucked alongside the Pompidou’s primary colors. 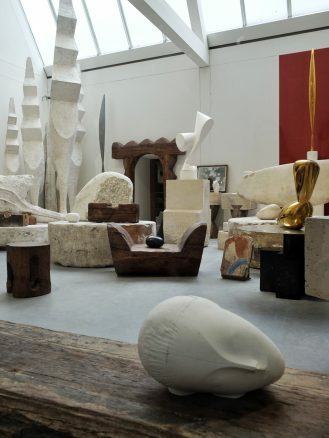 What’ s so inspiring is that from a block of wood or cube of plaster, Brancusi brought out an unexpected tension and vibrancy with striking rawness, an aesthetic that resounds through everything he created. The museum is worth a little detour, and entry is free as well. Designed by Frank Gehry, Fondation Louis Vuitton is an art museum and cultural center on the edge of Bois de Boulogne. Since opening in 2014, it has hosted numerous noteworthy exhibitions, most recently, the works of Jean-Michel Basquiat, whose painting style is like an unabashed, untainted language to me. 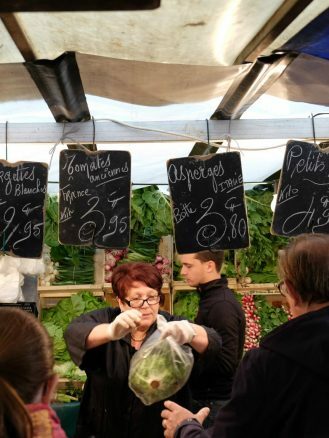 Early on Thursday and Sunday mornings, between 7 a.m. and roughly 3 p.m., tourists and locals alike arrive at Marché Bastille, one of Paris’ largest markets. 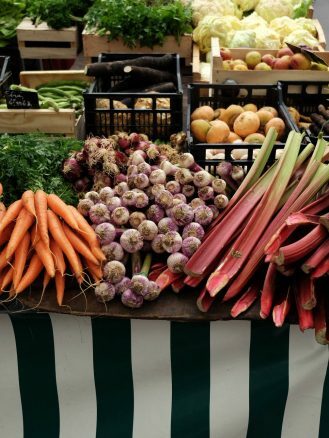 They crawl along the stalls of fresh produce, rotisserie chickens dripping their juices onto roasting potatoes, and cheeses, hundreds of them, to shop for their Sunday dinners or merely get a taste of Parisian life. I suggest you arrive hungry and eat your way through Lebanese bread hot from griddles, buckwheat crêpes, plump Medjool dates, and freshly shucked oysters along with crisp white wine in plastic cups. 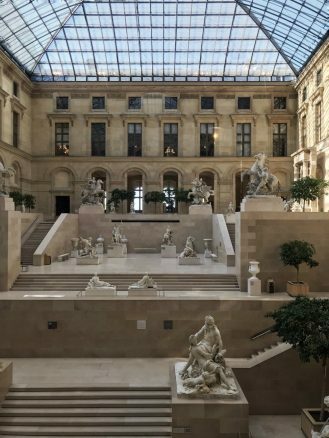 I’m sure you’ve heard that if you spent 60 seconds looking at each of the objects at the Louvre for eight hours a day it would take you 75 days. It’s a lofty life goal to be sure, but perhaps best tackled on your next vacation to Paris. If you’re short on time and don’t mind skipping the Mona Lisa line, I suggest visiting the sculpture gallery. Captured in stone are mythical moments—a curl of hair, a jewelled crown and the most ethereal fabrics that look translucent through the natural light spilling in from the glass rooftop. Prior to living in Paris, I had never understood taxidermy’s appeal. It wasn’t until I had seen a perched white peacock with its long feathers splayed to the ground and a cougar resting on its elbows in the corner of the David Mallet salon that I was struck by its strange beauty. 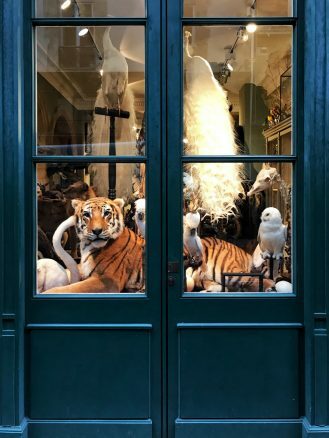 There are a few handfuls of shops in Paris specializing in the art of taxidermy, and if you are curious, it is utterly breathtaking to see the grain of the fur on a lion’s back, knowing it is a rare and almost impossible privilege to do so. Lending peace of mind, Design et Nature ensures that all its animals died of natural causes.